Prevent flood damage in your basement or crawl space with a sump pump. At GT Campbell Plumbing, we offer professional sump pump installation in Canandaigua and the surrounding areas, and we’ll make sure you get the right unit for your home. From models that are hardwired directly into your home’s electrical system to basic plug-in models, we have solutions for every situation and budget. Sump pumps are the best to basement and crawlspace flooding problems. Once installed, they automatically remove excess water. Most models even include a battery backup to ensure that the unit will work even during a power outage. A sump pump is a type of submersible pump that removes water from homes. The unit is installed in a pit in the lowest part of your basement or crawlspace. 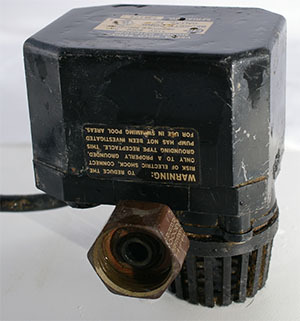 When water flows into the pit, a float switch turns the pump on. The pump then removes the water from home. Most newer homes are built with a sump pump already installed, but they are recommended for older homes as well. Without a sump pump, water can accumulate in your basement or crawl space and cause significant damage. When you need sump pump installation in Canandaigua, depend on the experts right here at GT Campbell Plumbing. From helping you choose the model that is best suited to your home, budget and preferences to professionally installing the unit and helping you keep up with routine maintenance, we offer a full range of professional sump pump services. We’ve been providing the area with top-notch plumbing services for more than 10 years, and we’ve helped countless homeowners solve their basement and crawlspace flooding issues once and for all. To learn more and to schedule an appointment with a plumber in Canandaigua NY, contact us today!